Home :: Bottom Bracket Parts & Adapters :: PRESS-IN BB SRAM GXP VER "BB91" / "BB92" / "BB89.5" / "BB71-41A"
PRESS-IN BB SRAM GXP VER "BB91" / "BB92" / "BB89.5" / "BB71-41A"
ABEC 5 RATED STEEL ENDURO BEARINGS WITH ANGULAR CONTACT DESIGN! "BB91" / "BB92" / "BB89.5" / "BB71-41A"
Make your press-in bottom bracket perform the way it was meant to. 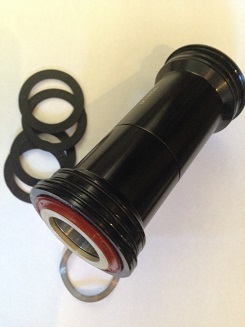 Precision machined 6061 T-6 Aluminum Bottom Bracket by KCNC with ENDURO bearings and superior sealing system. Larger ball bearings than OE! 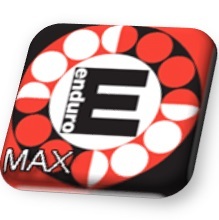 For the "Press-in" standard used by Giant, Scott, Lapierre, Yeti, and others. ABEC 5 RATED CARTRIDGE BEARINGS WITH GRADE 10 CHROMIUM STEEL BALLS. ANGULAR CONTACT BEARINGS.